Perhaps the most dangerous misconception people have is about the insurance industry as a whole. Some people feel that because they have insurance and pay their premiums every month that the insurance companies will take care of them when necessary. Sadly, nothing could be further from the truth. Year after year and case after case, I see just the opposite happen. I see insurance companies shirking their obligations even to their own customers. I see insurance adjusters lying to people about the laws governing vehicle collisions. I see insurance adjusters beating the ambulance to the accident scene in the hopes of having someone sign all their rights away in exchange for a few hundred dollars. Insurance companies are money making institutions. The only thing they care about is their bottom line. They love you when you send them a check every month and don’t submit a claim. When you have the potential to cost them money, the audacity to expect them to finally provide the coverage you have been paying for, they look for any excuse to keep from paying you a penny. 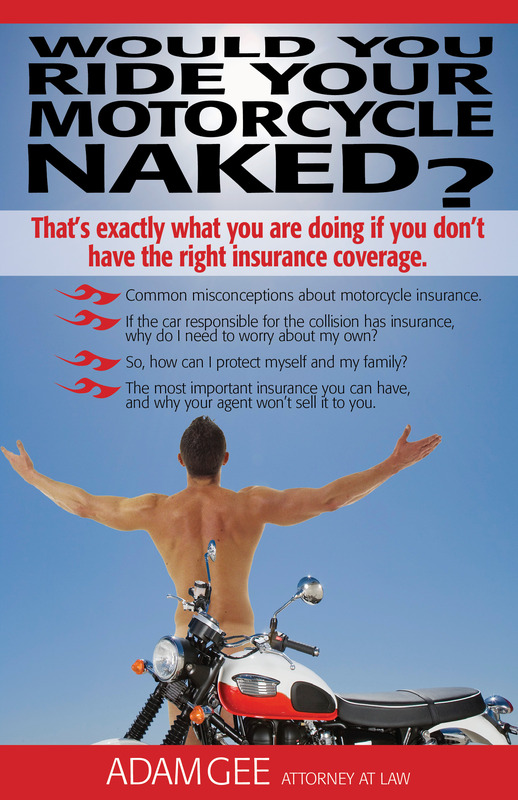 This post is the last in an eight-part series based on topics covered in my book, “Would You Ride Your Motorcycle Naked?” My book is available FREE to New York and Pennsylvania bikers, and to those whose loved ones are bikers. Click the link above to get your free copy now, before it is too late! 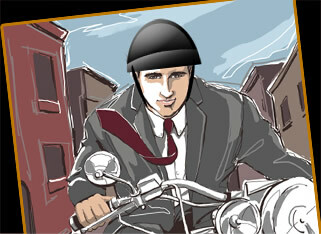 ← Motorcycle Insurance Misconceptions Part 7 – The Insurance for The Car That Hit Me Will Pay My Bills!